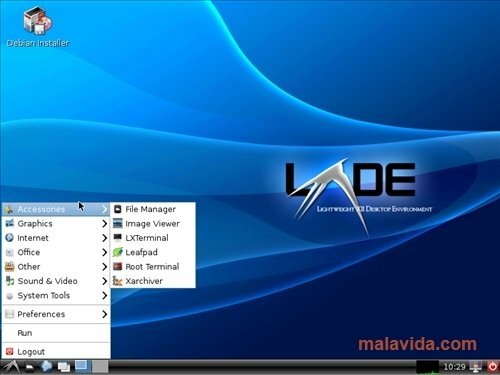 LXDE offers you the possibility to have a desktop environment in your Linux distribution that hardly uses any system resources at the same time that it offers very useful tools. 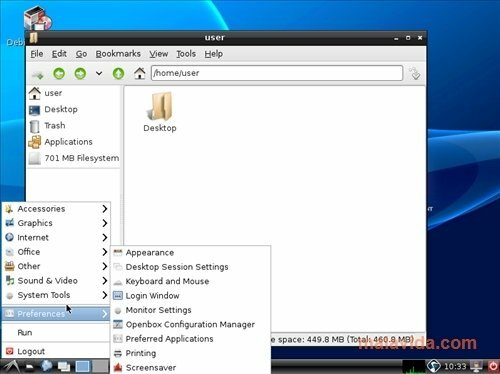 Lightweight X11 Desktop Environment allows the possibility to work in a very comfortable way with Linux, without the excess complexity of other desktop environments, that affect the performance and speed of the computer. Speed: it works perfectly even on computers that are rather old. Light: works well with systems with low RAM memory. Customizable: allows various configurations to adapt it to your own liking. Simple and elegant interface that uses GTK+2. Independent desktop: you can use its components separately. 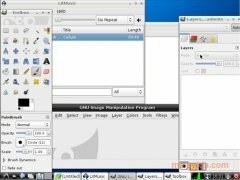 Furthermore, LXDE is compatible with all the standards, uses Openbox as a windows manager and it has various applications, like OpenOffice, Iceweasel, GIMP or Leafpad, but it allows the possibility to install a vast amount of programs. LXDE can be used with several Linux distributions, like Debian or Fedora. If you want to try a quick and lightweight desktop environment, download LXDE free.